2009 Tour of Qatar: The peloton rolls along through one of the more scenic areas during Stage 4. 2009 Tour of Qatar Stage 3: Danilo Napolitano (Team Katusha) and Tom Boonen (Quick Step) battle for the line. 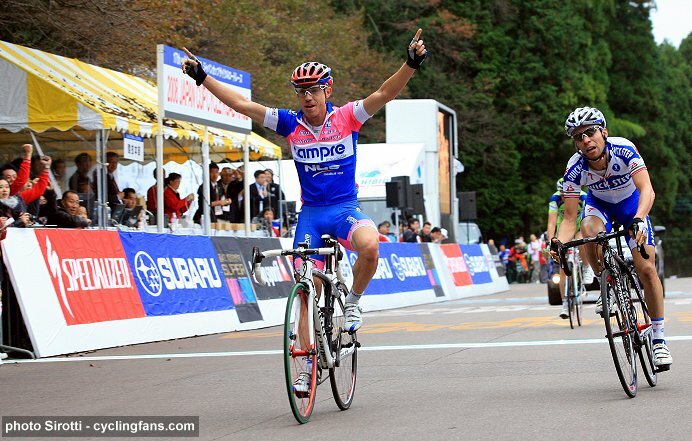 Danilo Napolitano (Team Katusha) and Heinrich Haussler (Cervélo TestTeam). 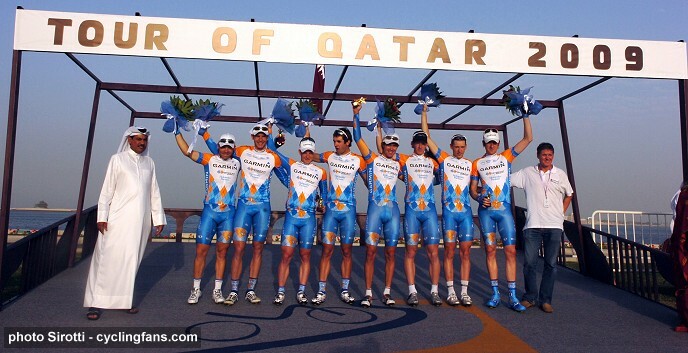 2009 Tour of Qatar Stage 1: Garmin-Slipstream celebrate after their victory in the Team Time Trial. 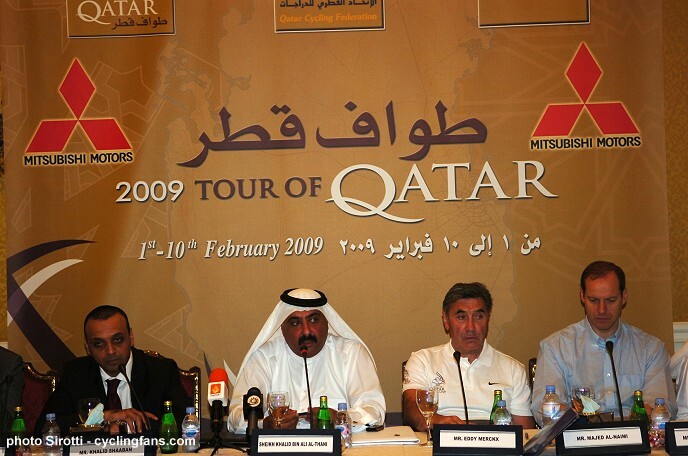 2009 Tour of Qatar press conference: Eddy Merckx (second from right) and Tour de France director Christian Prudhomme (far right) were present. 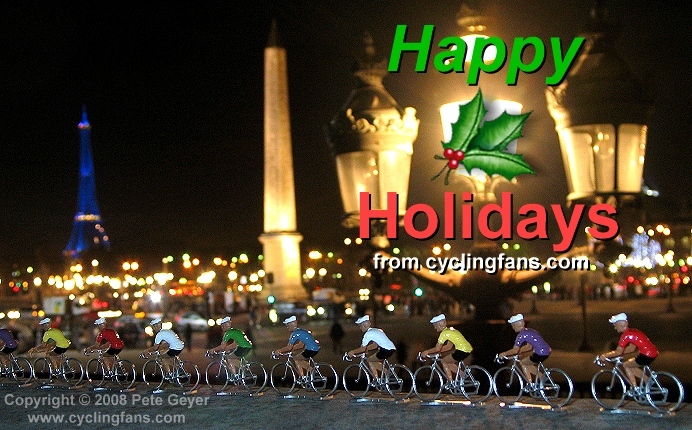 just like the real peloton does during the Tour de France each July. 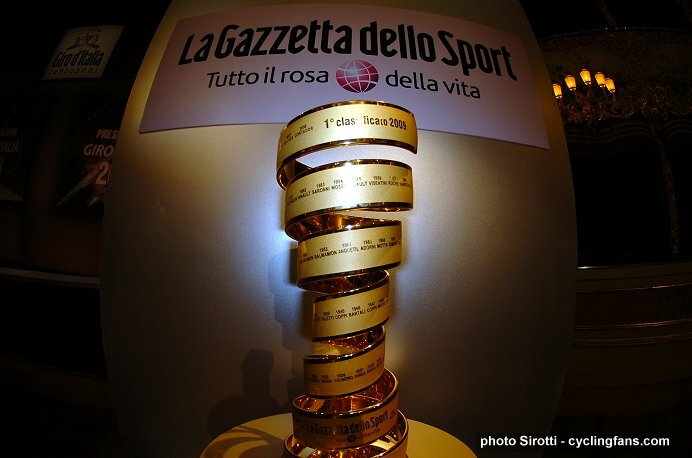 2009 Giro d'Italia Route Presentation: The 2009 Giro trophy awaits its winner. and Ivan Basso (Liquigas) last Sunday. 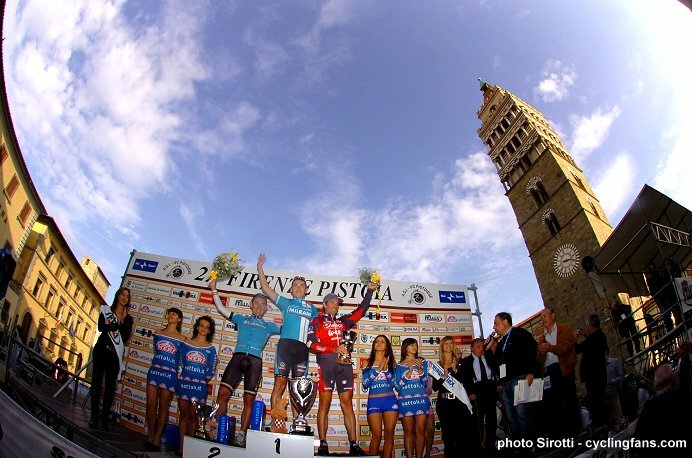 and Dario Cioni (Silence-Lotto, third) on the podium. The men's DI cross country gets the competition started on a five-mile course on the Lees-McRae campus. Banner Elk, N.C. (October 24, 2008) - The cross country competition kicked off the USA Cycling Collegiate Mountain Bike National Championships on Friday as nearly 200 collegians raced through the campus of Lees-McRae College for the second year in a row. 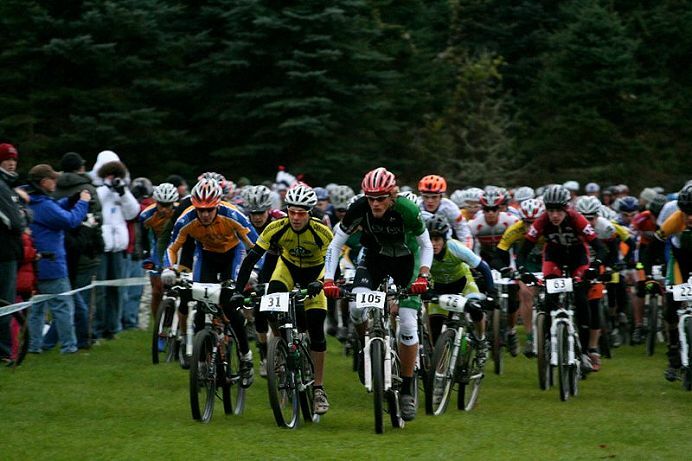 The first day of competition set the stage for an old-fashioned shootout between host Lees-McRae College and last year's overall team winner Fort Lewis College in Division I, while riders from nearby Brevard College and Appalachian State earned the Division II men's and women's crowns respectively.